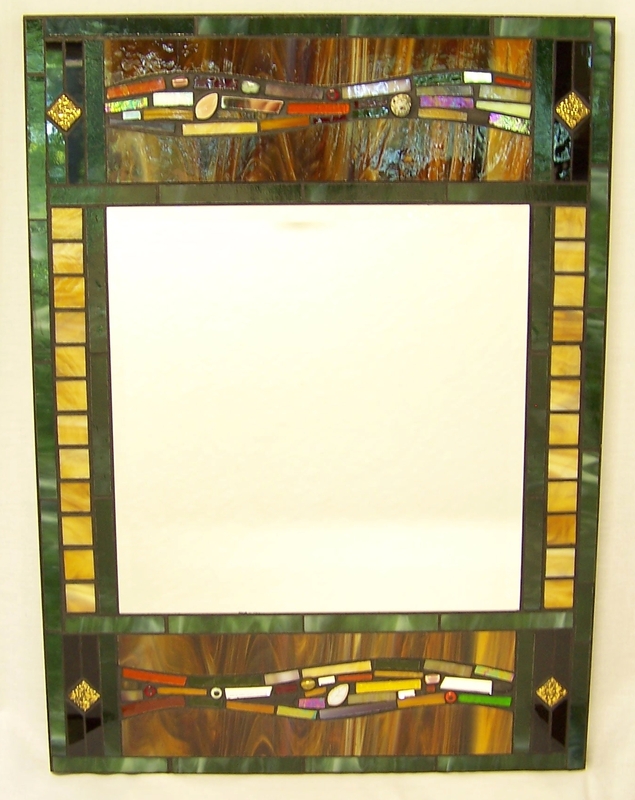 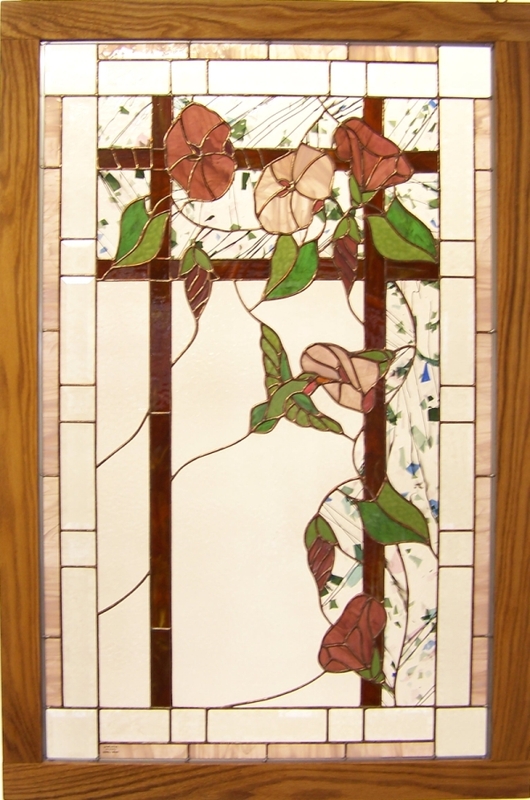 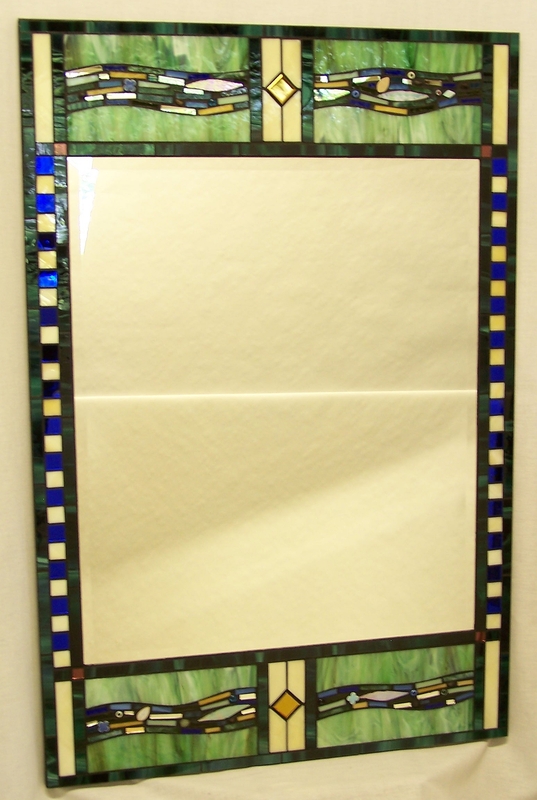 MOSAIC MIRRORS - This work arose from a frustration with the expense of traditional stained glass materials in modern times and led to a fresh take on another ancient art form. 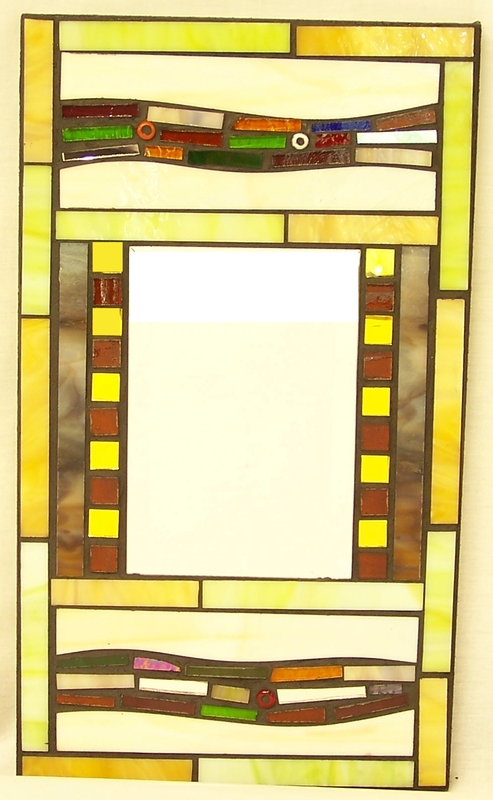 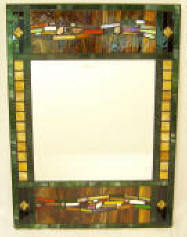 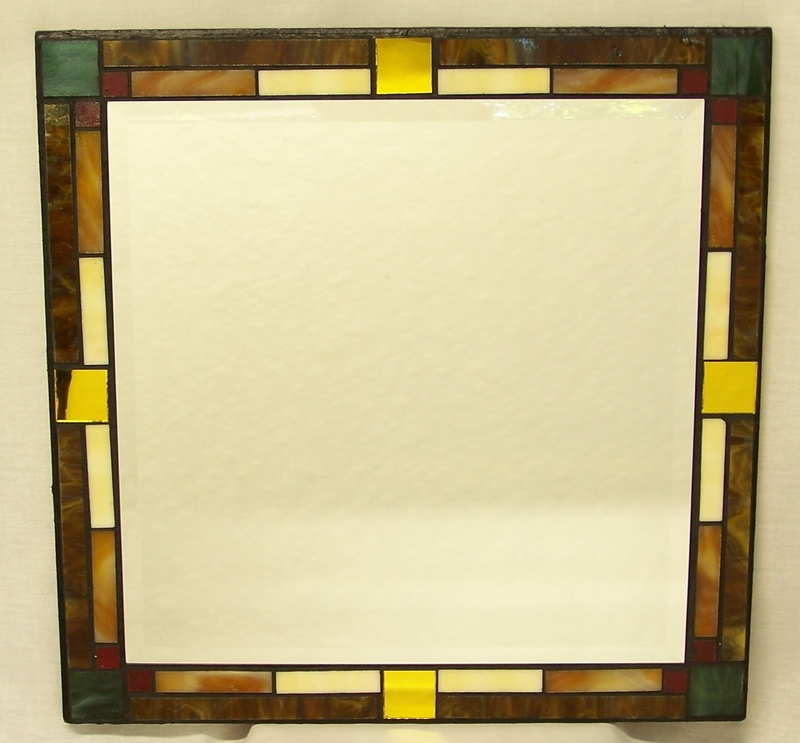 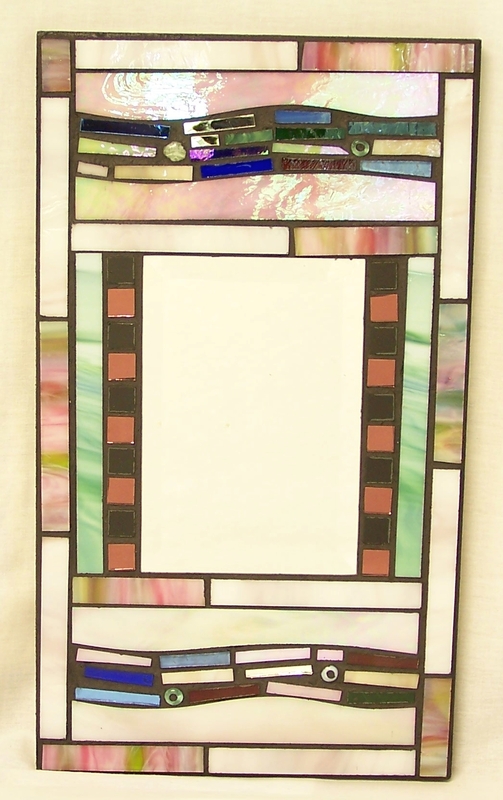 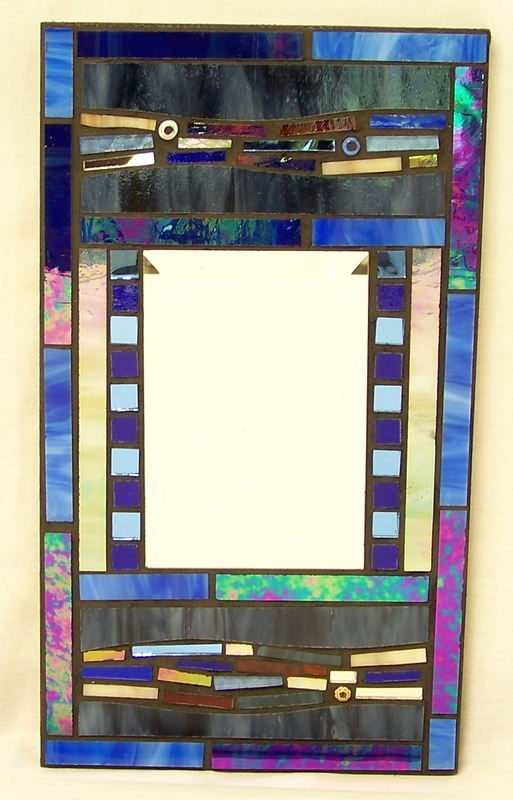 These mirrors incorporate opalescent stained glass, ceramic tiles and found objects. 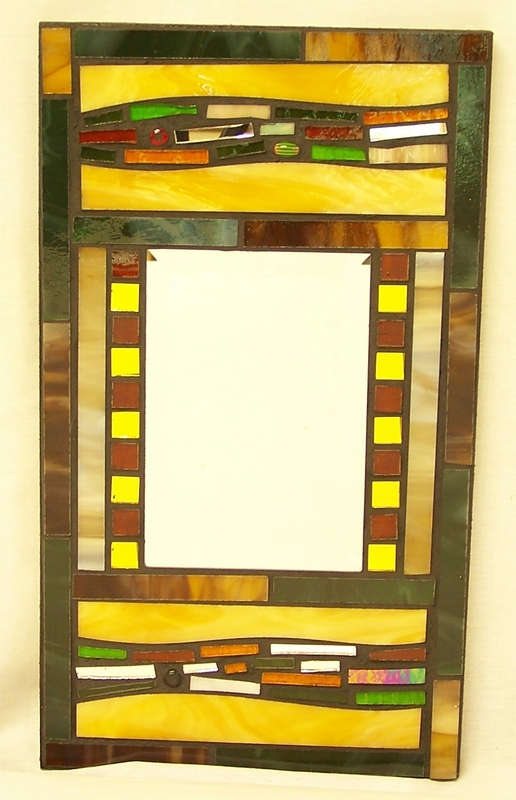 While the underlying design elements have a "mission" flavor, the use of abstract elements gives these pieces a contemporary feel. 12" x 48" 16" x 48" 24" x 36"